Tummers Patisserie - Bakery in Heemstede. The sweetside of life can be enjoyed at Tummers Patisserie Passionelle. This cosy tearoom will offer you a range of delicious cakes, chocolates, friandises and savoury snacks including toasties and pies. Every now and then some seasonal products will be on the menu, including apple balls, ice glasses, apple croquettes, Tosca’s and brownies. Great coffee is prepared by real barista’s. The famous Golden Coffee Box Coffee is used in combination with the Mazzucco, the Rolls Royce of the espresso machines. 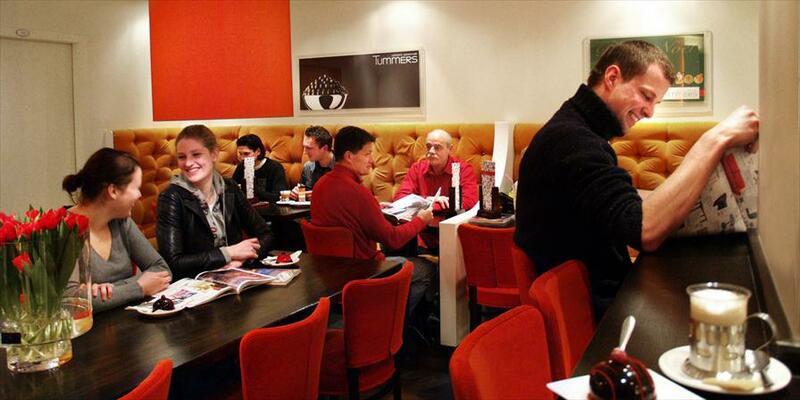 Both young and old come to Tummers Patisserie Passionelle, it’s a meeting point for friends, students and young and older couples. The calf sausage rolls, tompouce and pastries are the most popular products. It is a warm and cosy tearoom (30 seats), that radiates passion and craftsmanship. 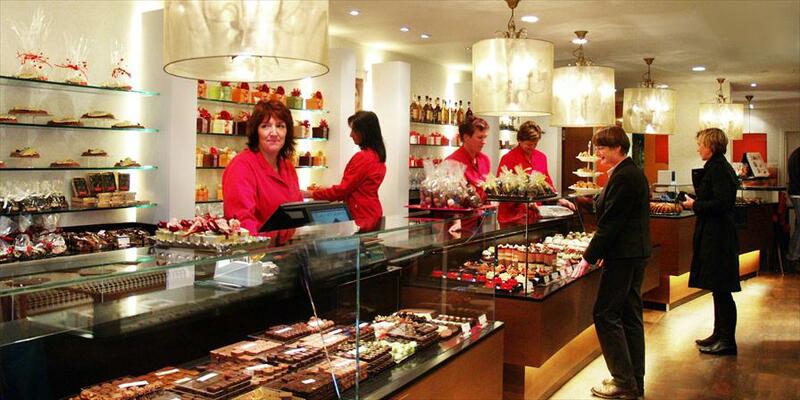 Tummers Patisserie Passionelle is one of the 15 exclusive Valrhona partners in Holland. Valrhona produces high quality chocolate that is processed by Tummers. The team is constantly preparing all the delicacies at the back of the shop. The Tummers team has a lot of experience, including Holland’s only world championship pastry making. And that´s not all, because in 2007 Tummers was nominated as best patisserie of North Holland, and received a bronze medal for Holland´s best patisserie. In addition, Tummers won the 2008 silver medal Netherlands chocolate award! Op zondag wel geopend tijdens jaarmarkt.